Beaver Brae School in Kenora, ON is selling their basketball Shoot-A-Way training system for $500.00 $400.00. It is still in great working order and retails at over $3000 when factoring in shipping and exchange from the US. 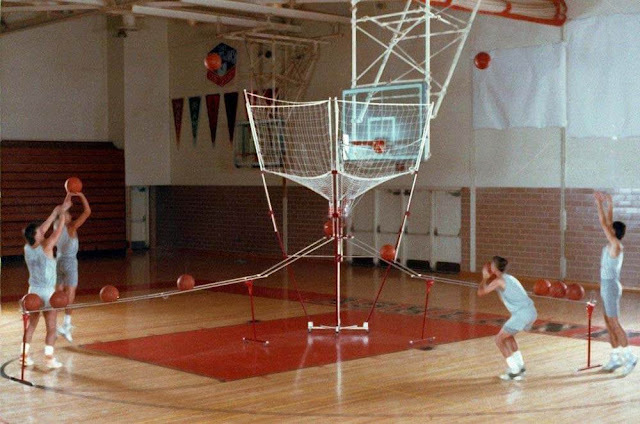 Effective and Efficient Shooting Practice. Return balls to passer, for zone shooting, shots off picks, low post cuts, or 3-point shots. Practice any game-situation jump shots off the pass. A great shooting station.